On November 10, 2017, the LUNATECS’ new community partner, OPEX, hosted the LUNATECS and other SJR teams for a production tour of their facility. 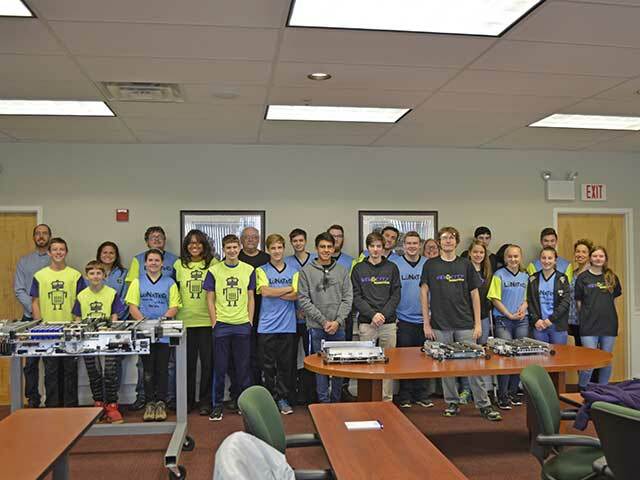 Since OPEX’s world headquarters is located in Moorestown, NJ the robotics teams were able to participate in this tour. Most note worthy, the representatives from the company demonstrated their Mail Matrix®, Sure Sort™ and Perfect Pick™ robotic systems. 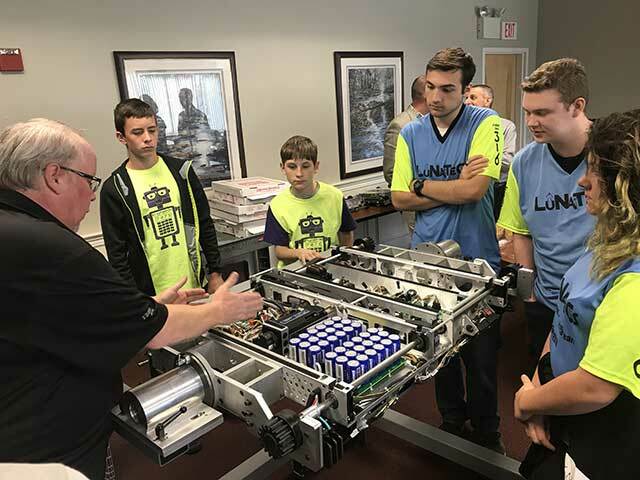 Some of the SJR FRC Students on the facility tour remarked at how similar the company’s base robots were to their own base robots they build for their FIRST® Robotics competitions. A variety of engineers from the company, including a materials engineer, a computer engineer, and a software engineer, all gave presentations about their paths to engineering. Also, they talked about specifically what they do at OPEX. One of the challenges SJR students face is the number of engineering careers to choose from when they head to college. Hearing about a variety of different engineering careers helped the students learn more about their options for future career paths. Want to know more about SJR? Click here.